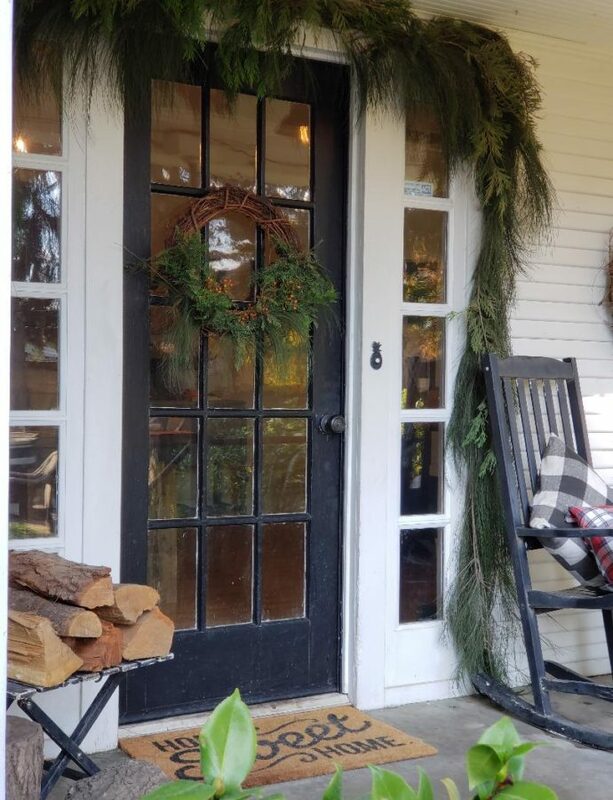 Whenever the Holiday Season approaches I find myself wanting to hunker in and nest (even more so than ever)! 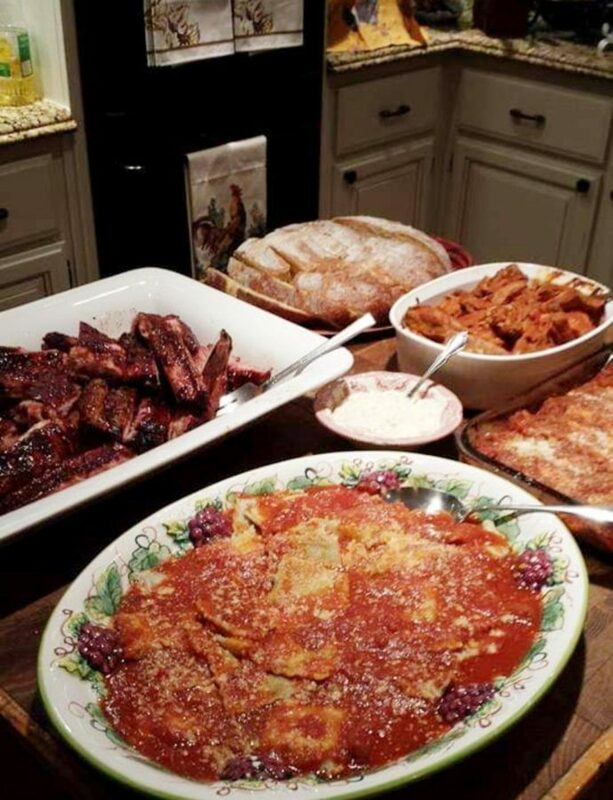 I want to cook and bake, and share my recipes with family and friends. 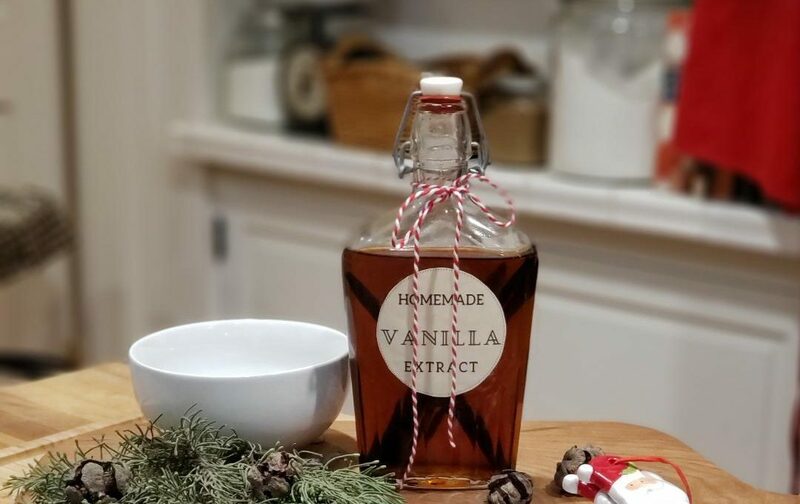 I also love to encourage others to head on into their kitchens to bake by sharing recipes and especially sharing delicious ingredients like my HOMEMADE VANILLA EXTRACT! Oh, it’s sooo good and I use it for tons of things like cookies, cakes, cupcakes, brownies, and more! In fact, there’s a bottle of this delicious serum of homey goodness in my pantry now but let me tell you, this delectable potion has been sitting there for years, and yet it’s still so delicious. It’s almost like a vintage wine that has aged and matured into a masterpiece, I must say. It all comes from making it at home instead of buying it from the store. You know, your basic choices at the store are imitation vanilla (please never let this be your choice) which is fake, chemicals, and has such a mild flavor, why even bother. Or you could choose a variety of pure vanilla extracts which can be sooo expensive. Why? Aw, the mystery of the vanilla bean. Well, it’s grown in wonderful tropical places like Madagascar, Mexico, and Tahiti where the temperatures are warm and wonderful all year long. It actually takes 3-5 years for the orchid like flower to bloom, then once pollination happens, it takes another 9 months for the plant to produce beans. 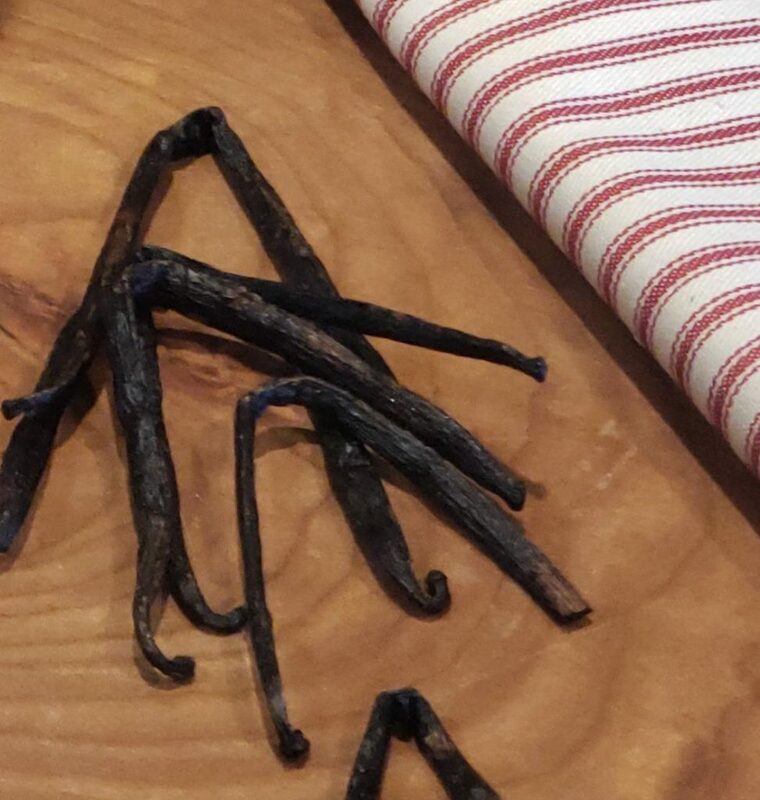 After the whole curing process, which comes after that, the vanilla beans are ready for culinary use. Wow! Whew! What a process and an expense. 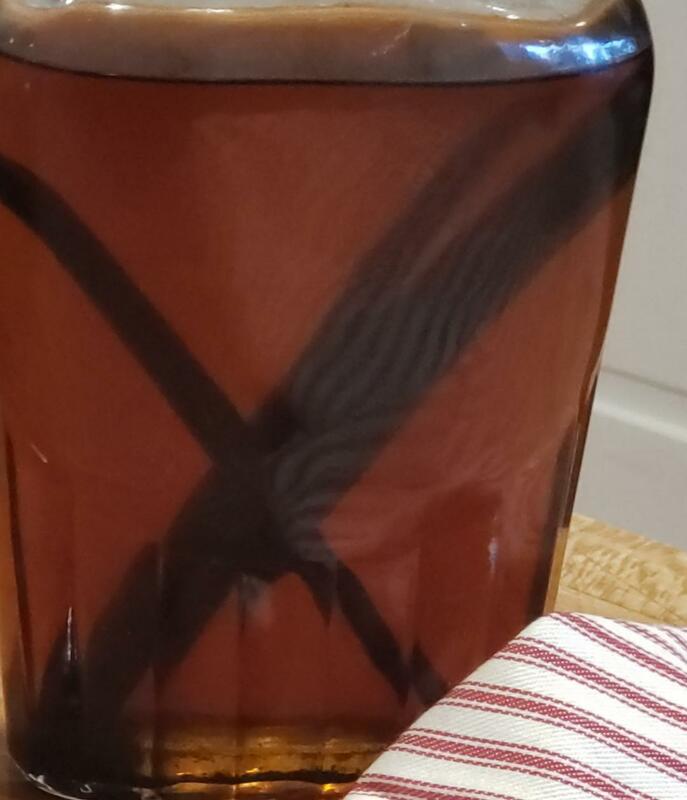 And while this pure, delicious liquid may be quite worth the effort and price, I’ve found that making it homemade yourself is far less expensive and honestly tastes better than any commercial product I have ever used. 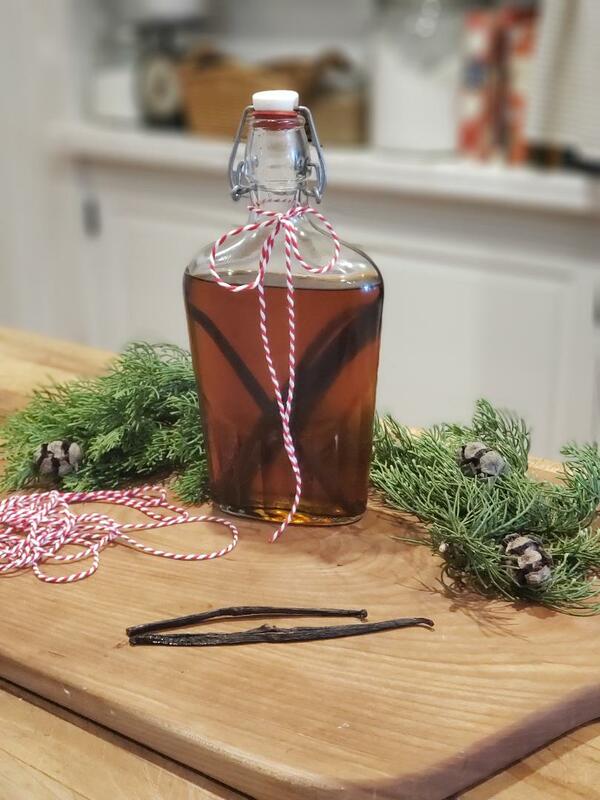 So here you go, I’ll give you my so, s0 easy tutorial in making HOMEMADE VANILLA EXTRACT by yourself, or for your family and friends as a super sweet little Christmas gift. Find a cute bottle that you like for yourself or that you would love to give as a gift. I get mine at World Market here. I like this one because it reminds of something I might see in an old Farmhouse pantry that the mother or granny of the house would have used to store all of their homemade tinctures in. To prepare it, you need to give it a good cleaning in warm sudsy water then rinse in hot boiling water. 2. 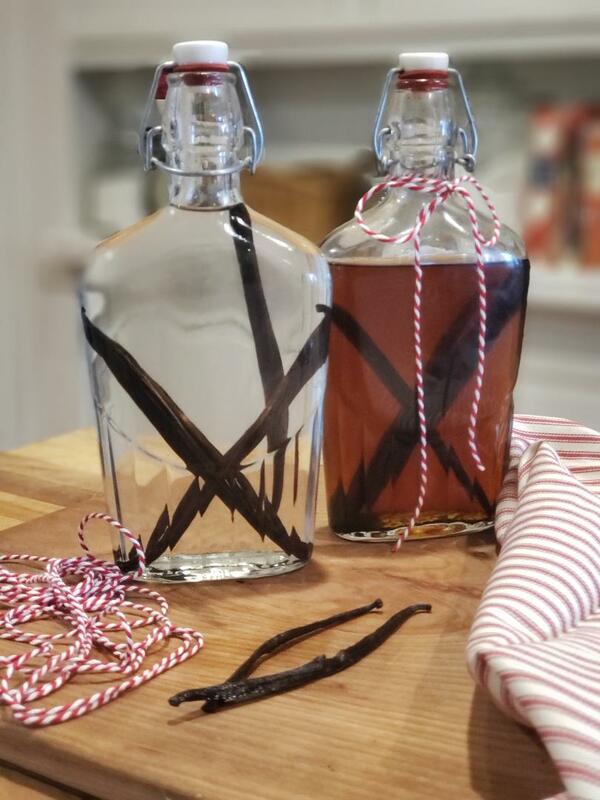 Purchase your vanilla beans and for this bottle, you’ll need 6 whole ones. I prefer the Madagascar beans and I get mine through World Market also. I take each one of the beans and slice them lengthwise so as to release the caviar (the inner bean seeds and paste) inside. Leave them tall and long and insert into the bottle ready and waiting. 3. Pour some vodka (for this bottle use 2 cups – but the ratio is 3 beans per 1 cup) over the top of the vanilla beans covering it all. 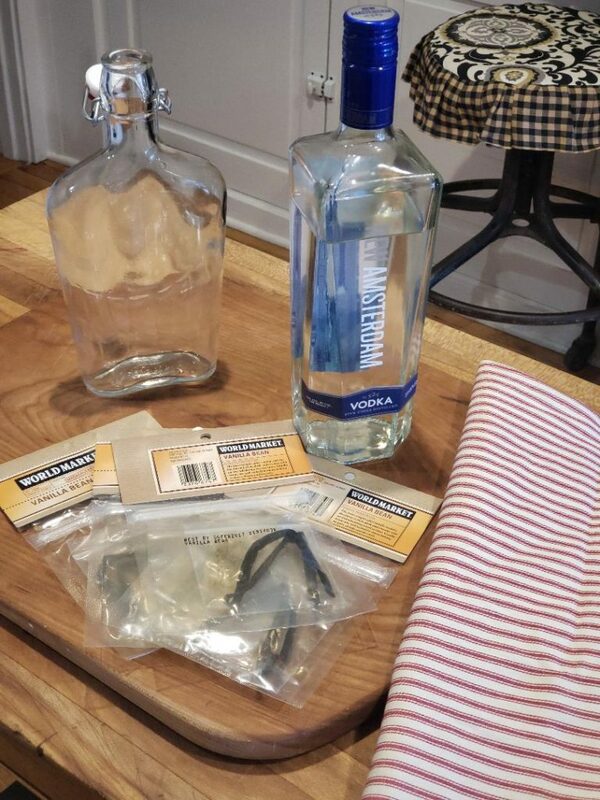 You don’t have to get the most expensive vodka. An inexpensive or mid priced alcohol will work just fine. 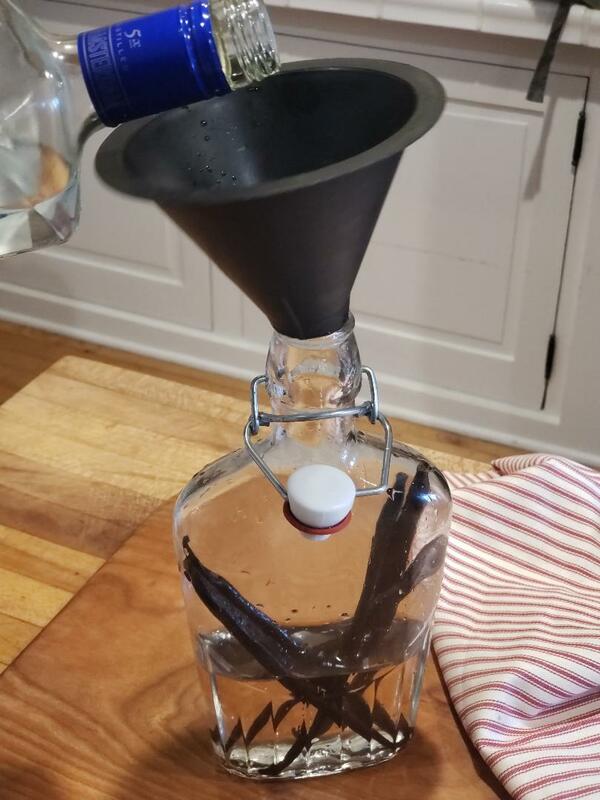 Vodka has a nice neutral flavor that works well when making this extract so you can really taste the vanilla coming through. Commercial extracts are usually 35% or 70 proof alcohol. But I like to use a 40%, 80 proof for a better infused product. 4. Infuse the beans in the alcohol for at least a month, but the longer it infuses the better, just like a fine wine. That’s why I use 6 whole beans for my extract because it speeds the process up a bit. Put a decorative gift tag on this delightfully darling little bottle and it’s ready to go. Maybe even mention on your tag to let it mature for a number of weeks until ready for ideal use if you started late. I store mine in my pantry and take it out ever so often and give it a little shake to release all of the oh so yummy vanilla paste inside of the beans. Then watch what happens! In just a month or so, you will have the most beautiful amber looking liquid which has the most exquisite taste to make all of your baking taste amazing! So easy right? Not to expensive for sure! What a darling gift to boot! Hey try this out for your own kitchen pantry; I just know you’ll love it! Or, make this for a sweet and precious Christmas Gift that shares your love of baking with others and encourages them to develop their own culinary skills as well. Cuz honestly, most people’s interest in a project is peeked when they have the best quality ingredients. I find it highly motivating to venture into something new myself when I have some new tools to sharpen my skills. Now that you know how to make it with this tutorial, why not create a bottle for yourself and make some as gifts. Start now, so it will be ready for Christmas. Give it on it’s own or add it to a gift basket that you put together with some other homemade gifts. 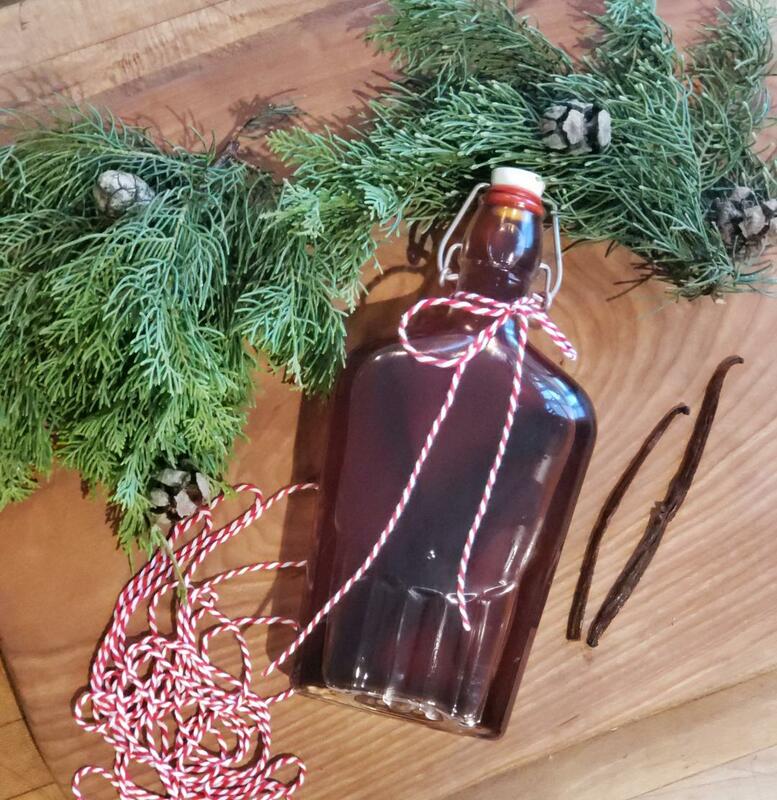 You can get creative in making homemade gifts and have fun while you’re at it. Then adding a label to it, just sets the whole gift off as such a darling treat! I just love how these labels turned out that I created! I printed them on ivory paper and I think it adds that cozy vintage look that I was going for. I’m offering them free for you so don’t forget to scroll down to grab em up! Looking for some other gift ideas? 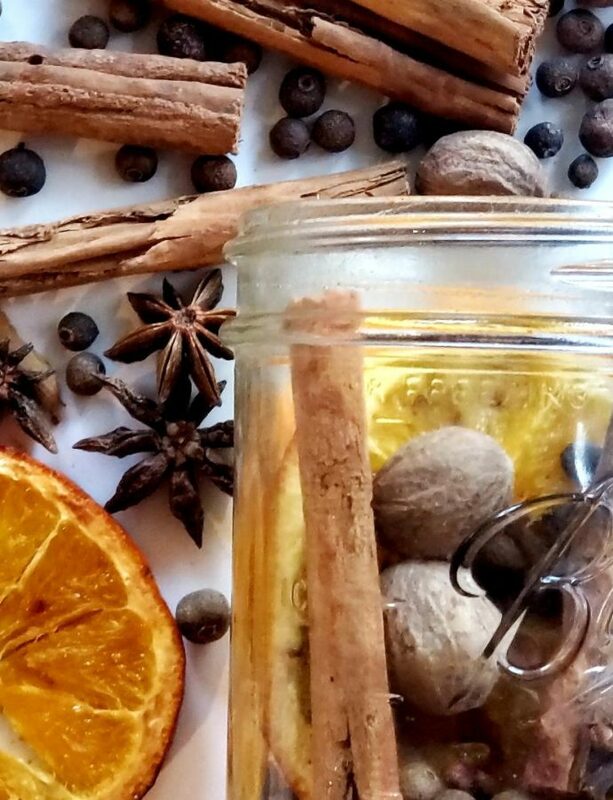 If you’re looking for some other ideas, you might try my HOMEMADE STOVE TOP POTPOURRI that is super fun and easy to make. You just put it together in the kitchen with some grocery store items and voilà, what a beautifully scented treat that can make your home smell so lovely by just heating it up on the stove. Making a simple apron isn’t that difficult either when you follow my super easy tutorial here. 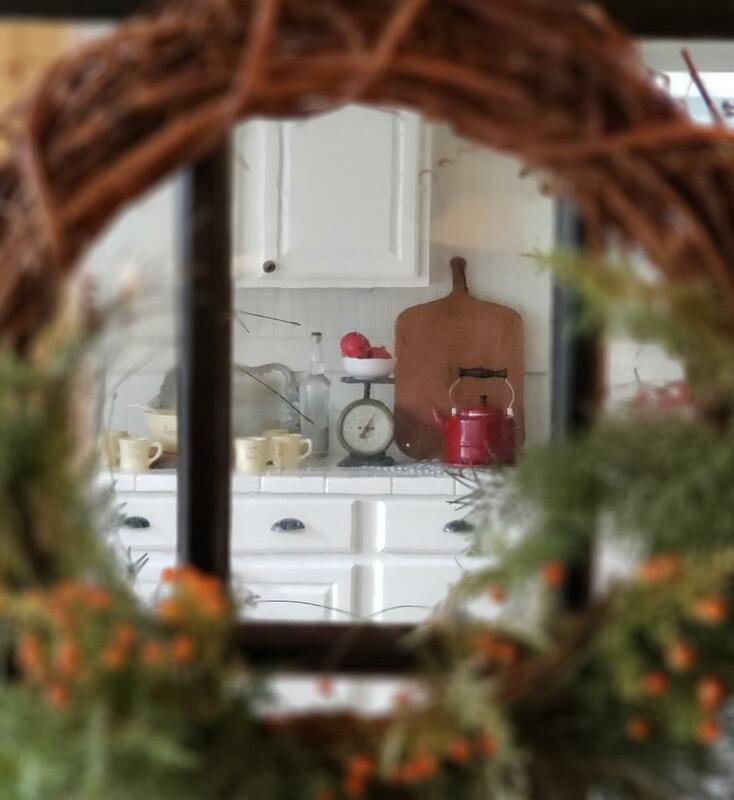 Put them all together for a gorgeous Christmas gift that has all of the cozy elements of home and the lovely domestic life. Happy almost December and Holiday prepping! I hope you have a wonderful rest of your week sweet friend! Thanks for this! I have a couple of people on my Christmas list that are tough to buy for (I’m a personal trainer and a male client or two comes to mind! ), so this is awesome! I know it’s a little late now, but as you said, I can just put on the labels that they need to “mature” for a bit before using. Someone gave me a bottle last year and I just refilled it a month or so ago. Love being able to do that. Do you know how many times I can use the same beans in my own personal bottle? Oh perfect Dawn! And I’m so glad you asked. I forgot to talk about it in the blog. Like… forever. I’s preserved in the alcohol. So the idea is, you add more beans to it. Then you might take the beans out ever so often to use (like squeeze out the vanilla bean paste for oh, gelato or something, ya know, homemade ice cream or whipped cream or something like that.) Then you would discard the bean after that. I always refill it when it gets down half way and then add a few more beans to let it steep a bit more. I would of never thought about what vanilla is made from. WOW! Thanks for sharing Jerri. I am going to try to make some for my Christmas baking this year. Oh fun Terrie! I’m telling ya, you’ll never go back to buying it any more after. I was so excited for this post! I’ll always opt for the homemade over the store version of most things. So this is perfect for me especially since I love baking and do it often. I cannot wait to try this out! Thanks for Sharing! Yaay! I’m so glad you liked it! And btw me too! Homemade it always better right?! 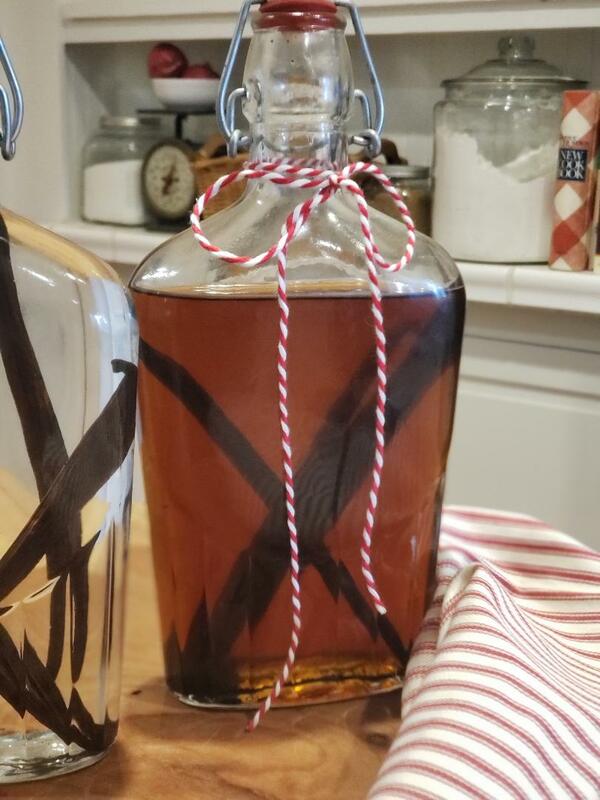 My husband’s aunt Reggie was taught to make vanilla from rum by her mother, and shared that with me years ago. I haven’t gone back to store bought since. She did tell me to set a bottle in the back of the pantry for 6 months, then start another bottle later. It’s a good thought to use more beans to speed it up a little for the first bottle. I just keep rotating between them. I love that you do this! Oooh, I love the idea of Rum, I bet it’s sweeter. What a great idea to have two going! Love this Susan! Oh, I’m so glad you like it dear! I can attest to the homemade vanilla making a delicious difference to cookies. You’ve simplified the process with the easy steps you’ve listed. Makes it seem doable for anyone! Thank you so much darlin’ it is fun to use and make! Just happened upon your blog, which I added to my blog list. Loved your story of finding your home and have copied some of your recipes already. You live the life of all our dreams! Thank you so much kind friend! Made the lemon curd tonight… Making vanilla extract soon!! !